Jordan Brand announced that their recently-released Air Jordan XX8 SE will be worn by Russell Westbrook once the Oklahoma City Thunder superstar returns from a knee injury. But aside from the already-released colorways of the kick, the variant of this year’s signature shoe of JB will also be released in an OKC Thunder-themed shoe. Dubbed the as “Russell Westbrook” edition of the shoe, the Game Royal/Team Orange-Varsity Maize will be released on October 23rd and will retail at $150 per pair. 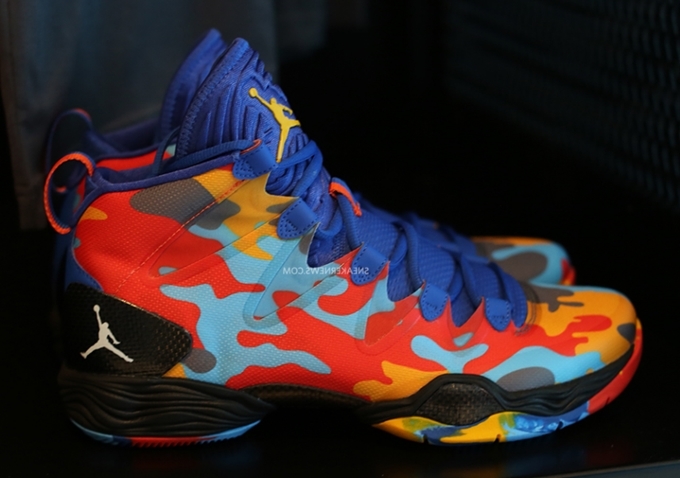 This camo-inspired edition of the Air Jordan XX8 SE is definitely a must-cop shoe this month so watch out for it.